Member Mania couples a cash incentive with engagement expectations to draw in potential members as well as reward those who actively promote the credit union. Heritage FCU launched its Member Mania referral program three years ago to draw in new relationships. The program has attracted hundreds of new members at less than $80 a head. New members find their way to a credit union via multiple channels: word-of-mouth, indirect loans, a convincing piece of marketing. The breadth of channels is wide; the depth of relationship incurred varies just as widely. Indirect members are notoriously difficult to cross-sell. A member that joins the credit union via word-of-mouth can bring with them a suite of products — or just one. Economic participation is the lifeblood of the credit union business model as well as one of the movement’s seven cooperative principals. One source of new memberships, referrals, does tend to produce active, engaged participants. 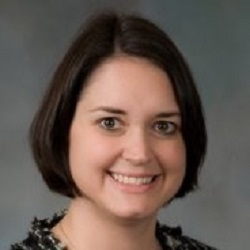 “We find members who come through our Member Mania new member referral program to be more engaged,” says Holly Smith, vice president of marketing at Heritage Federal Credit Union ($601.5M, Newburgh, IN). Heritage’s Member Mania program rewards existing members $25 and new members $50 for referrals, provided the new member meets three criteria within 60 days after first opening a checking account. First, they must take out a credit or debit card; second, they must make 15 transactions on their new debit or credit card; and third, they must enroll in e-statements. Here, Smith discusses Member Mania, including how Heritage determined the bonus amounts, what prompted the credit union to start offering the program on a regular basis, and lessons learned. When did Heritage FCU launch Member Mania? Holly Smith: We’ve offered this program off and on for a little more than three years. We started running it consistently last October. We were so close to hitting 60,000 members. We finally hit that in December. It was a huge accomplishment for us, and we are proud of it. Why didn’t Heritage run the program consistently in the past? And is that changing? HS: We typically ran it when we were looking to drive new memberships; for example, when we were opening a new branch or were seeing a decline in memberships. We’re planning to run the program across 2019 for a few reasons. One, it’s a controlled cost. We are not spending that much on external advertising because we are using the mediums we own to promote it. Those include our website, digital signage in our branches, monument signs, social media channels, and email. The only true hard expense we have is when we pay out the bonus incentive. Two, we have set criteria that new members must meet to get the money. We’re trying to get a referral from someone who believes in the credit union, not someone just looking to collect the money and work the system. Talk about the hard expense. How do you cover that? HS: I’m only paying $75 for each new member, and I know they will meet the basic criteria we’ve set. We know we’re getting a checking account, and we know debit card transactions drive interchange. Plus, we’re looking at data around these memberships, and we can see they become more loyal than those who just walk into a branch. Talk more about that data. HS: We look at our internal data from time to time to see which products tend to be sticky. A perfect example of this is a mortgage. If we have a member’s mortgage, we are more likely to have other products and services, too. This is true of other products, as well. We find members who come through our Member Mania program tend to be more engaged, same with those who have a health savings account. Because their friend is telling them about the benefits of the credit union, members who come in through Member Mania know more of what we offer. We have a full onboarding program, but we know they also go back to their friend to say, “I’m a member now.” That’s when their friend tells them to check out this discount or that product. That friend is feeding them information and helping us onboard. They are significant cheerleaders. We do member surveys every year. We know we are high performers in the loyalty measures we track and our NPS is above our peer performance as well. A credit union needs to know what the tipping point is for a member to refer and for a potential member to take them up on that referral. The referral program allows you to track from where members came. How important is that? HS: That’s the good thing about our Member Mania program. It’s very trackable. We no longer use a drop-down menu for new members to self-select how they found the credit union. Often, it’s not a true statement. A member might select TV, but the credit union hasn’t run a TV spot in two years. Did they really see the credit union on TV? Or is that just the most common medium, and that’s why they gave that answer? How many referred members did Heritage get when it was running the referral program sporadically? HS: In 2017, we began our Member Mania push in mid-May and ended it in December. We set a goal of 65 new members per month, which would equal 495 new accounts for the year. We finished the year with 482 new accounts, or 97% to our goal. For the 482 accounts, 248 qualified for the payments, which means we spent approximately $39.00 on average per new member in incentives. Compared to $500 checking account credits from Chase and Bank of America, we think there’s value here. I’d rather have a few hundred members who are extremely loyal and will be here for a long time than, say, 5,000 people who are here for six months and leave. What would you do differently? What lessons have you learned or best practices have you developed? HS: We’re changing our criteria for the payout. We recently changed the number of required card transactions from 10 to 15. It’s important for us to get them to use their card, and our average member uses their card more than that each month. We’re giving referred members two months to hit it. We’d like to have these members move over their direct deposit, too, so we’re looking at adding that to the requirements. Overall, I think the biggest thing is to establish criteria that will bring engaged members. Also, make sure the bonus incentive is enough to encourage action. In our market, this dollar amount works. It’s not going to work for someone in Chicago. A credit union needs to know what the tipping point is for a member to refer and for a potential member to take them up on that referral.